1. Alters the anatomy of your calf muscles. 2. They might cause you to trip & fall. 4. Put stress on back & knees. 1. It makes you look taller. 2. It adds oomph & confidence to your personality. 3. It gives you a feeling of floating in the air. 4. It makes flatters envious of you. 5. Looks great with Indian dresses as well as westerns. Who cares about med problems? They can be cured with Meds & TLC but nothing can beat the advantages of wearing heels! 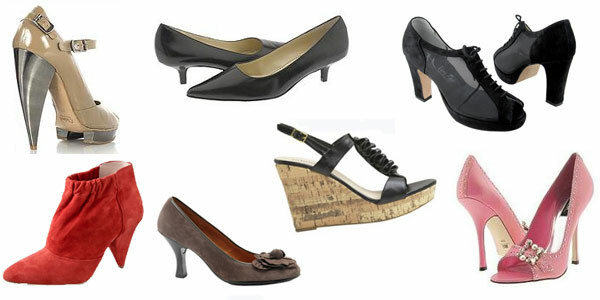 Platforms, Wedges, Chunky, Kitten, Cone, Spool, & the best the Stilettos!! !